The Guidi estate came into being in 1929, and it still shows now a distinctive character, that is, that of a family estate, with an established know-how handed down from father to son. But to the experience of the elders is now added a creative mix of the younger generation: a winning combination which has brought the Guidi family to renew itself year after year so it can now present a line of wines that are an expression of the Tuscan territory handled in all its details. 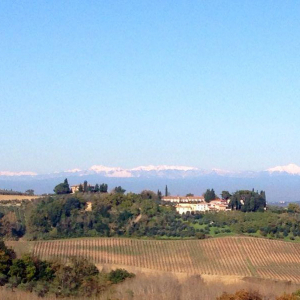 Amid the gentle hills of Chianti, certainly the San Gimignano area is one of the most famous. The town, as well as for its towers, is known for its wines: Vernaccia and Chianti, the first and second Docg in Italy, the most famous in Italy and the world, wines that are the offspring of centuries of history and tradition. 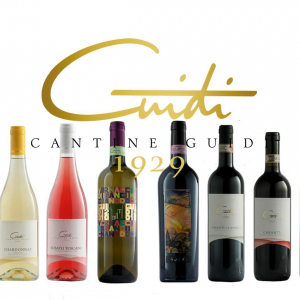 For this reason, the Guidi family today manages "Il Castagnolo" Estate, in order to produce modern but elegant wines, distinctive in a territory that needs no presentation. To the north, the Pistoiese Mountains and the sun that rises every morning to kiss the "Tenuta il Castagnolo" vineyards, situated to the east of San Gimignano; this is where the Chianti and Vernaccia grapes are cultivated, which grow in the sun and shape themselves with the air of the Tuscan hills. 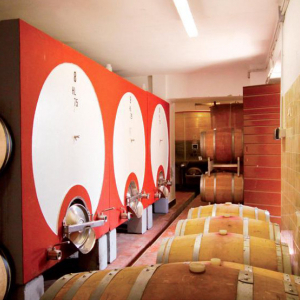 Here is where the Guidi family produces grapes and makes wine, then the wines grow and take shape inside the aging cellar made exclusively in cement vats and small wooden casks. Cement and wood are two ingredients to create elegant and distinctive wines.